LAWYERS FOR ANDERS Behring Breivik have told his trial that he could be considered sane and acquitted of the murder of 77 people. Breivik has already said that he will appeal the verdict if he is found criminally insane, which the prosecution is arguing for. A prison term can only be imposed on prisoners who are declared to be sane, whereas any offender declared insane instead faces compulsory mental health care under Norwegian law. On the closing day of the trial which has lasted 43 days, defence lawyers for Breivik have argued that he was a political terrorist who chose political targets. In closing arguments this morning, defence lawyer Geir Lippestad argued that Breivik saw himself as a resistance fighter trying to protect Norway from being colonised by Muslims and left-wing ideology. “July 22 was an inferno of violence,” Lippestad told the court. “But we must also look at how he carried out the attacks to see whether it was violence in itself or radical politics that was the cause”. Several family members of victims are due to address the court this afternoon. 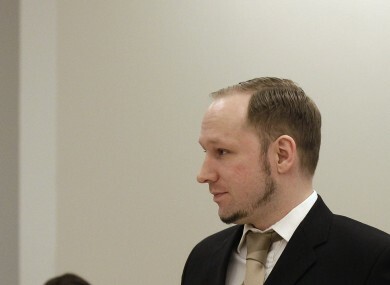 Breivik has admitted to carrying out the attacks last year, which has meant the focus of the trial has been on his mental state. The final verdict is likely to be given in late July or August and will be made by the five judges overseeing the case. Email “Defence argues that Breivik was sane when he carried out killings”. Feedback on “Defence argues that Breivik was sane when he carried out killings”.